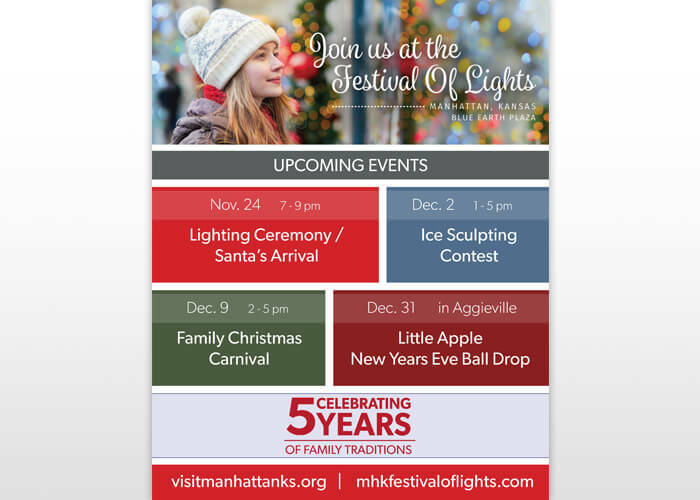 The Festival of Lights is a holiday event held in the Blue Earth Plaza in Manhattan, KS. 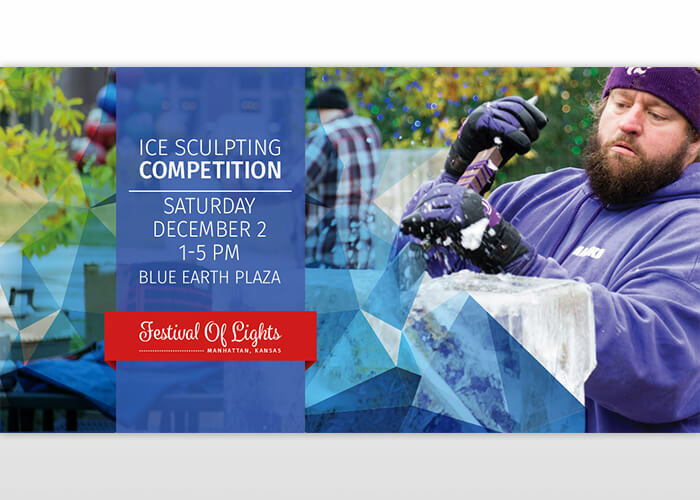 This magical spectacle includes winter food and beverages, local choirs, and of course, lots and lots of lights! The aim has always been to bring together Manhattan community members and kick off the winter season. 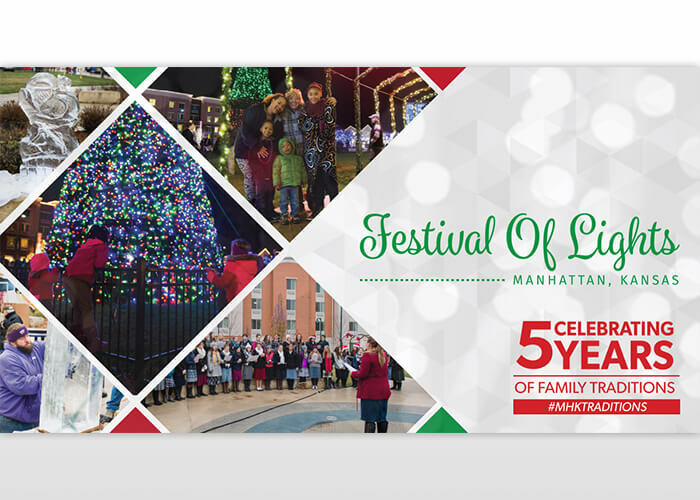 Working together with local Manhattan business and individual sponsors, JNT Company spent many hours to make the Festival of Lights inaugural event happen! Of course, being a marketing agency, JNT created messaging and materials to bring recognition to all sponsors and supporters. 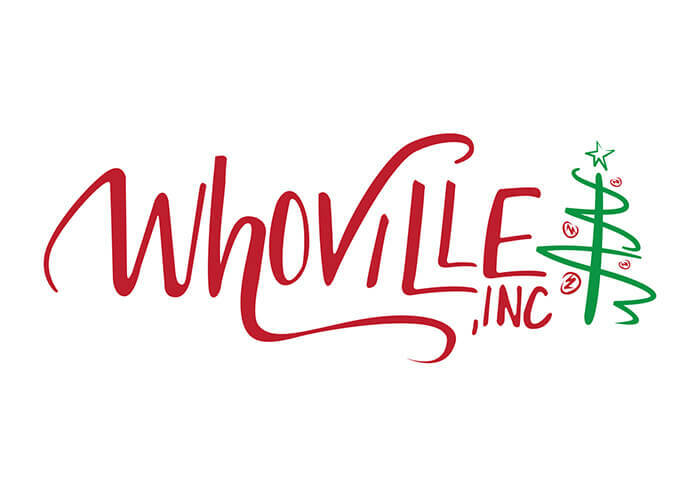 The festival also featured JNT's own virtual reality experience trailer that brought people all ages on a virtual sleigh ride around the north pole. Organizing an event for the Manhattan community would never be enough without a website. JNT designed and built an informational website for the Festival of Lights that showed off all of the fantastic decor and activities planned. The website has since been updated to include content like videos and pictures from previous years and a portal for donations.